I was in the bed and was about to go to sleep, and I realized that it is Intentional Thursday, and I needed to write, sooooo here I am! We have practiced being non-judgmental, meditating, being someone's miracle, and gratitude. Not sure about you, but this has really been working for me. I feel a peace that passes understanding, and I want to say it is because of Intentional Thursdays, or it may simply be because I am on summer vacation. So, let's assume that it is a combination of the two. My people, it's difficult to put into words what I am feeling, but "This joy that I have, the world did not give it to me!" Being intentionally grateful caused me to have a very joyful week. I am grateful that I was able to cycle to see my mother play bingo at the senior citizen place that she loves, I am grateful that I was able to cycle in Georgia and the temperature was just right, I am grateful that I had the opportunity to take my mom to two doctors appointments and even dinner one day, I am grateful that my friend Sonya, whom I have known since college, wanted to meet me out tonight, I am grateful that my friend, Maya, called on my road trip to Atlanta to offer words of wisdom that I needed, I am grateful that I had a seamless drive to Atlanta, I am grateful that my friend, Dr. Denard, sent me a text message from Cape Town, South Africa today, and I could go on and on and on..... Gratitude definitely adjust attitudes. 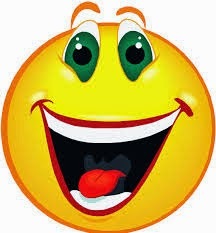 So, for the next week, let's just be intentionally happy! We've been practicing a lot of things lately, and why don't we take all that we have been practicing and just be happy.....While we are on the way to being perfect, let's live everyday to the fullest and be intentionally happy! I know that many of you feel that you have no reason to be happy, but if you really think about it, you have many reasons to be happy: you are alive, you can read, God loves you..... "Change the way that you look at things, and what you look at will change." My people, let's continue to work on ourselves, and be intentionally happy while we are working! The Shenandoah Time Trial was held in the Shenandoah Valley which is about a two hour drive from DC. If you have not EVER been to the Shenandoah Valley, you MUST go. Shenandoah Valley is surrounded by some of the most beautiful mountains. The scenery there is completely amazing, and I am highly recommending it. A Time Trial Race is a race where each cyclist is given a different start time, and each person rides the course as fast as he/she can to see how people rank in his/her respective categories. The course is normally out and back. The Shenandoah time trial was about 21 miles of some pretty steep climbs and some of what we call false flats; a road that appears to be flat but really is not. 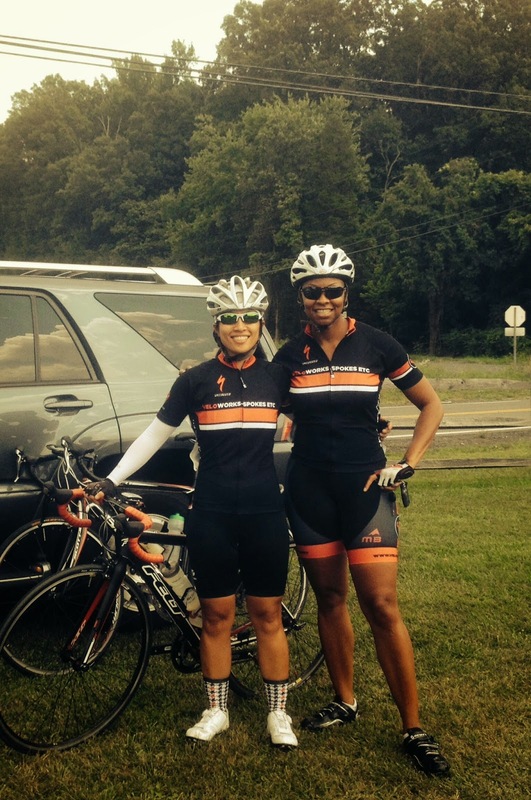 I picked up Tina and Lydia, my teammates and friends, and we rode out to Shenandoah for the race. We got there early, climbed a few hills to warm-up, and we eventually started the race. My people, I felt strong on this race. The hills were tough, but I must admit that I am climbing them a whole lot better than I was a few months ago. 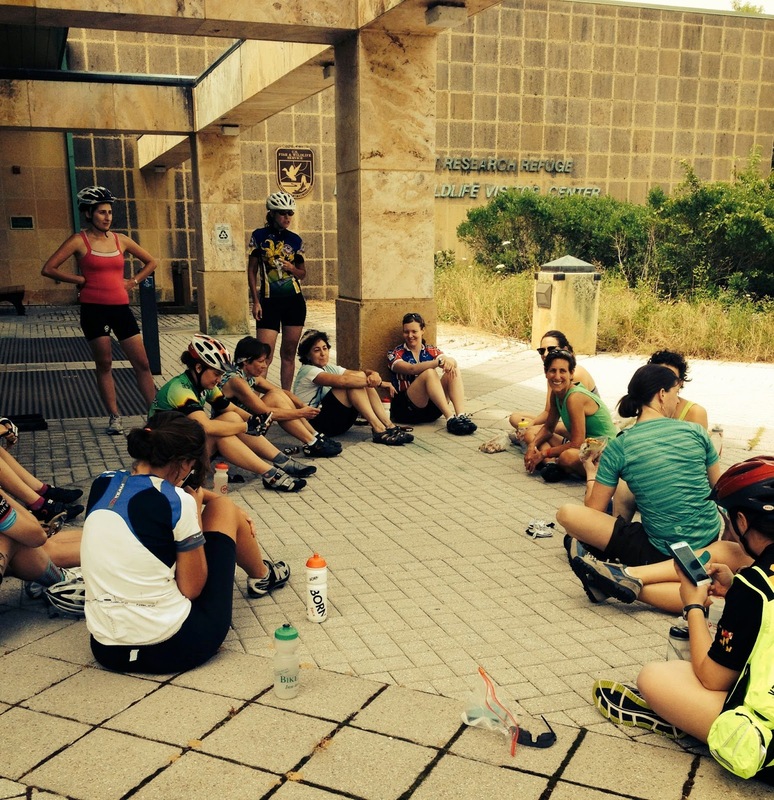 I ended strong and was greeted by my teammates and the lovely ladies of Sticky Fingers Cycling Team. 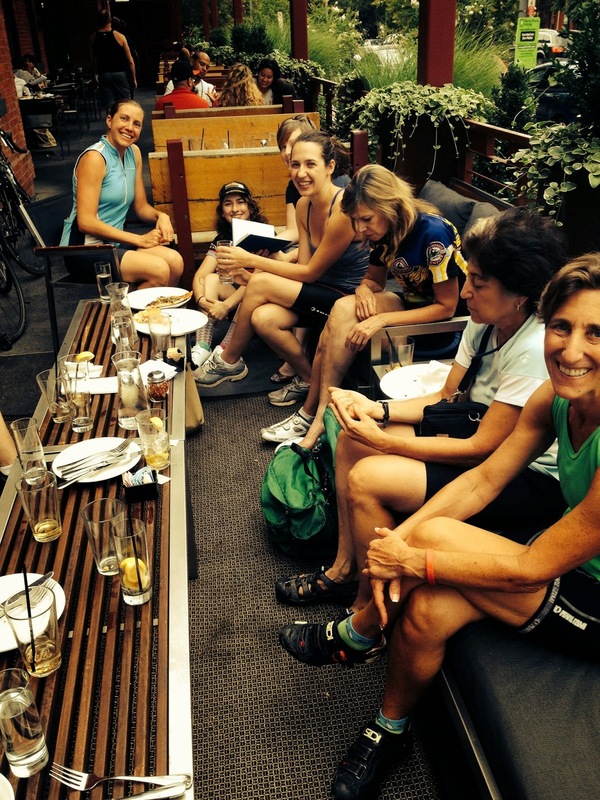 The ladies of Sticky Fingers were hosting a pre-ride for the Page Valley Road Race that is going to take place next week. 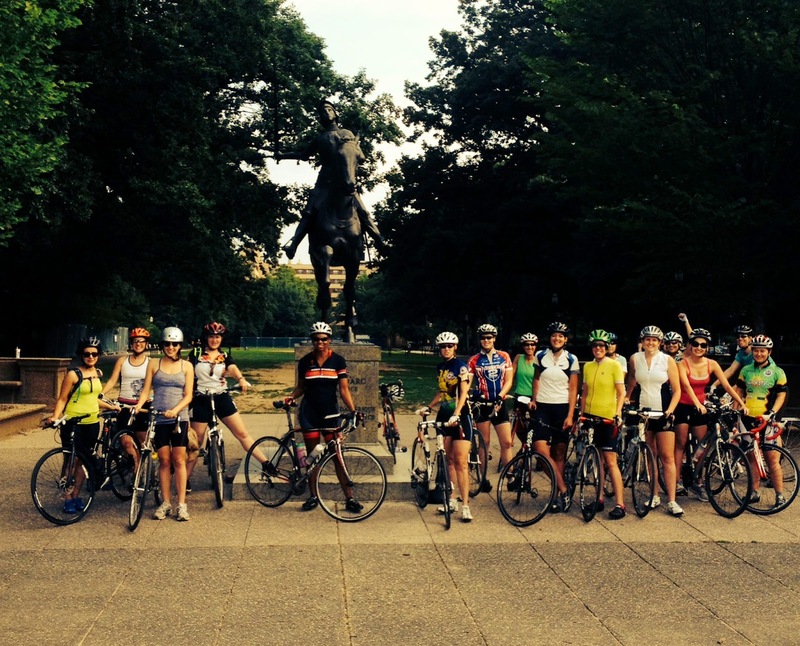 No, I'm not doing this race, I'll be out of town, but I couldn't resist doing another ride with the ladies of Veloworks and Sticky Fingers. Tina picked Lydia and me this morning, and we drove out to the Shenandoah Valley AGAIN. 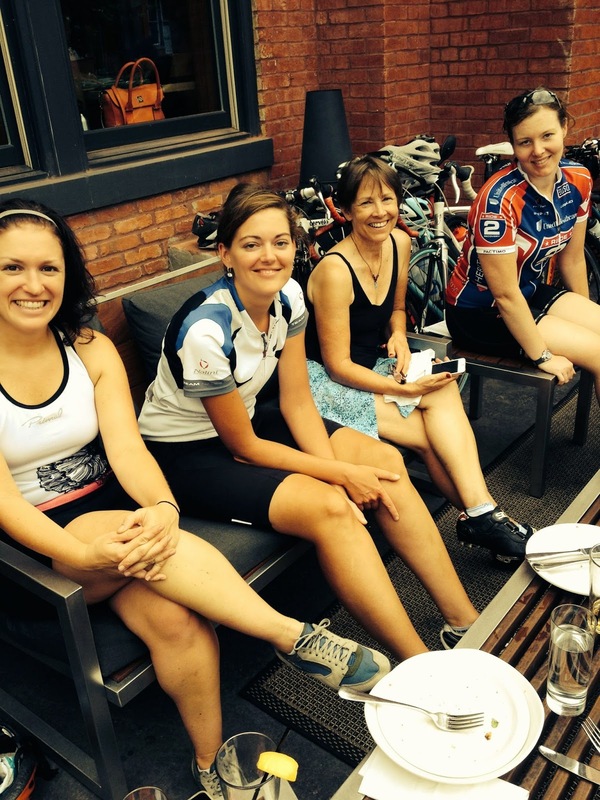 We met up with the ladies of Sticky Fingers and the race organizer, and we rode the difficult course that has quite a few climbs. My people, I am getting stronger for sure!!! This was a very satisfying weekend in so many ways. 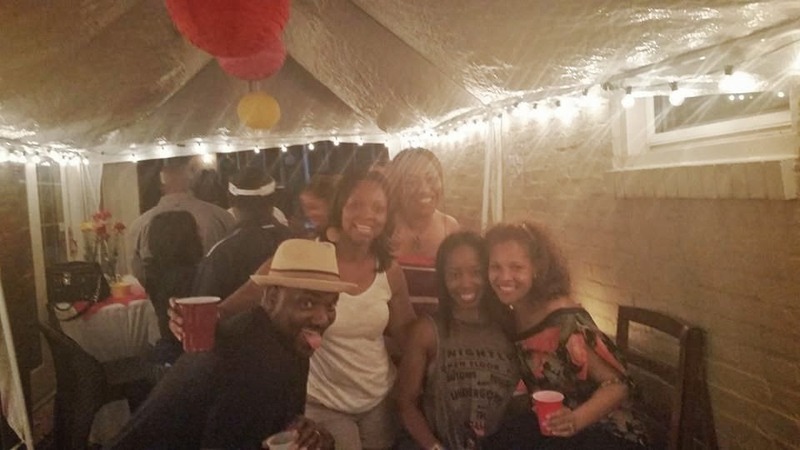 My body is happy, because it got some great workouts, and my soul is happy, because I spent the weekend with some sho 'nuff good people! My take away from this season is "If We Put Time and Effort Into Anything, We Will Get Better!" I wouldn't take nothing for this journey....HAPPY SUNDAY! 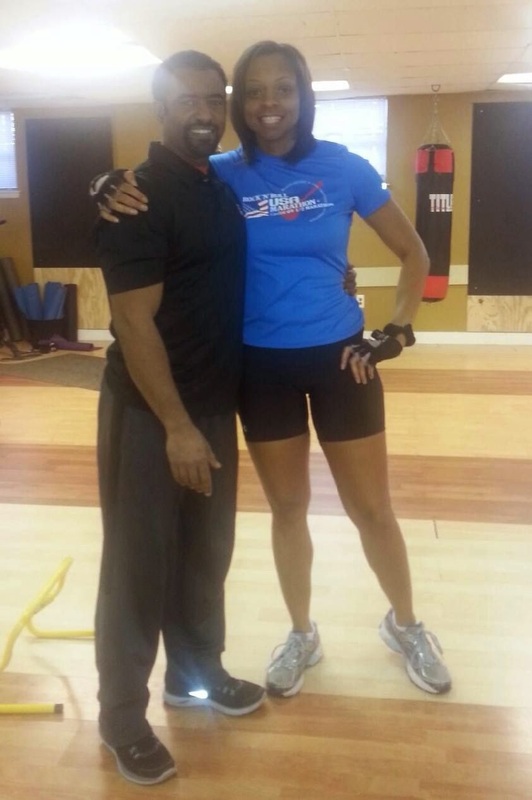 I love Berhane and working out with him? I love where I live? 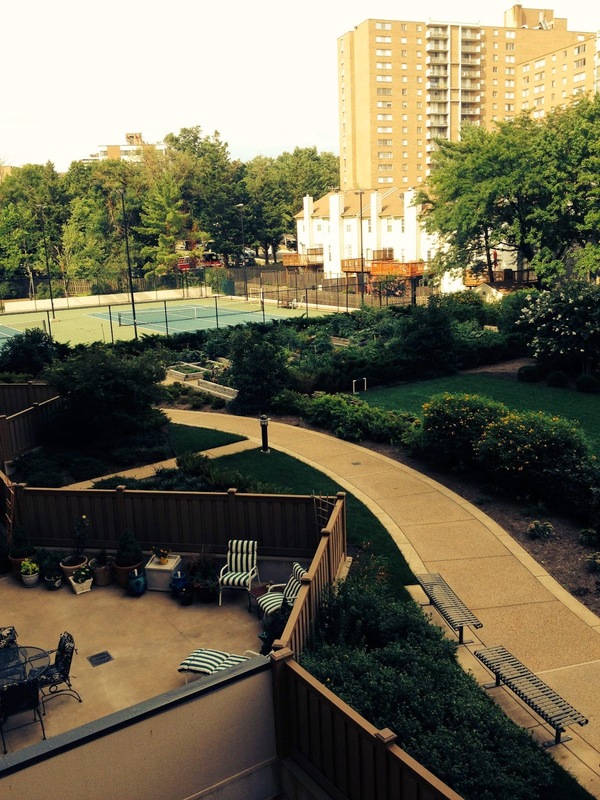 I absolutely love my condo, my balcony with the rocking chairs, the City of Alexandria, Washington DC etc. I love this place. The possibility of things to do is endless. Museums, plays, festivals, concerts, parties, happy hours, biking groups, running groups, nearby beaches, nearby national attractions, countless numbers of restaurants etc. Living here is like being on vacation all of the time... I LOVE WHERE I LIVE! I love early morning cycling workouts? Yep, I do. 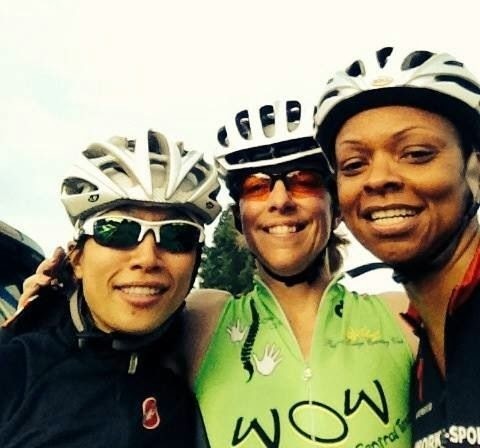 I normally meet my teammates Patti and Tina about two days a week around 6am for some sho 'nuff hard workouts. We talk, laugh, are supportive of each other, have great conversation, and if we are lucky like today, after our rides, we go to a local coffee shop for coffee. I love those morning cycling workouts. I love not working in the summer? My people, to have the stress of work off my back for about nine weeks is really heaven on earth. My Sundays are no longer days where I am a little uptight, because I need to prepare for work on Monday. Sundays are relaxing days just like Monday, Tuesday, Wednesday......The peace that I feel right now is soooo good. I have time to think and evaluate and work on me with few pressures. I love extended time off like for real! The Rapha's Women's 100 was a movement to try and get women around the world to ride together and complete a 100km ride. My people, my heart and soul are happy! From last Thursday until today, we were suppose to spend time doing some type of meditation. This week confirmed to me how important it is to do some type of calming of the mind and/or having purposeful thoughts regularly if not everyday. For the past week, I either practiced mindfulness and/or had purposefully thoughts everyday except Sunday. And, Sunday was the day that I needed it the most. I would either be present with my thoughts or I would declare something like "I am mighty." My people, let me tell you that this stuff works. With mindfulness it was so helpful to see how many thoughts that we can have in fifteen minutes and how important it is to quiet those thoughts. With purposefully thoughts, I felt so powerful to know that I can determine my mood by my declarations. Thoughts are soooo powerful and are just thoughts. We must be intentional about keeping them in check. So, this week, let's intentionally reach out to people with a heart of empathy without giving unsolicited advice. Let's be present with every person who we are in contact with this week, and try to walk in their shoes completely. Joel states in I Declare, that "our job is not to judge. Our job is not to figure out if someone deserves something, or to decide who is right or wrong. Our job is to lift the fallen, to restore the broken, and to heal the hurting." This week, let's intentionally become someone's miracle... and heal ourselves! If you are married, single, want to be married, about to get divorced, divorced... regardless of your relationship status, Read this book! If you are single, this book may add a little clarity to why we date who we date, but at the same time it may scare you or make you feel overwhelmed with the effort that it may take to have a conscious relationship. I know, I know, I know that I say often Read this book, but REALLY Read this book! Check out Harville's website here. My next read is On the Road by Jack Kerouac. 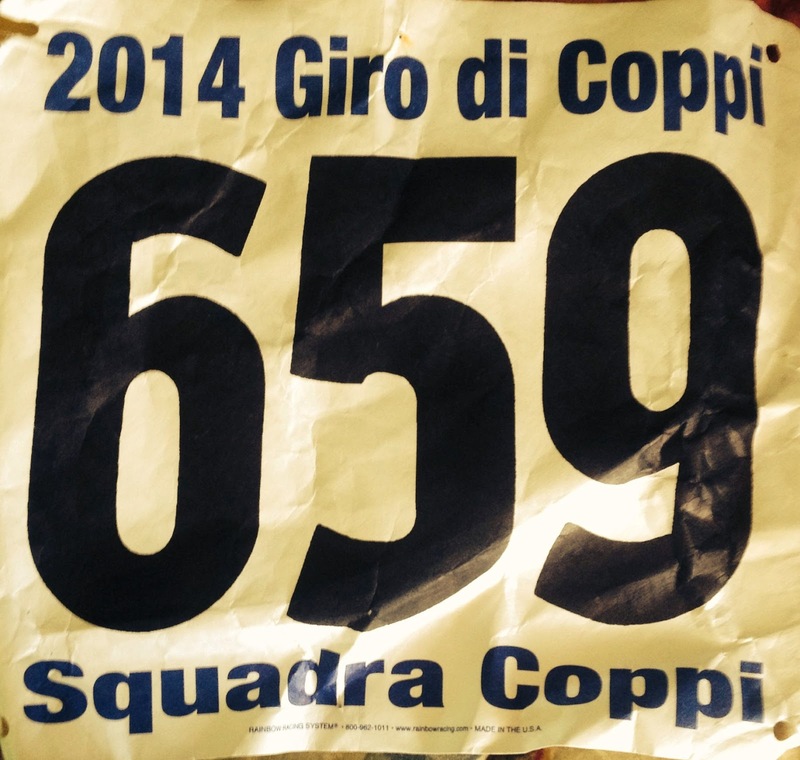 Race #7, Giro di Coppi, was held in Barnesville, Maryland on Saturday. Barnesville is about one hour from my house. Giro di Coppi was a road race. 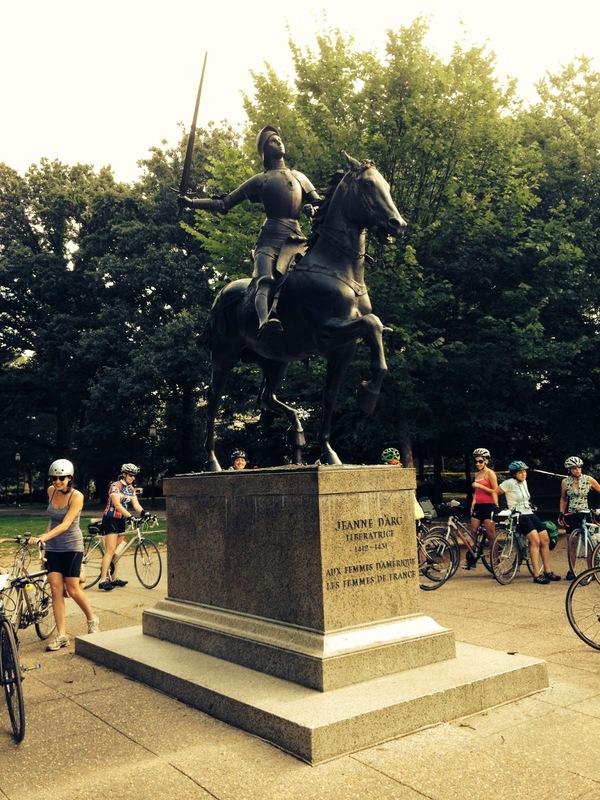 This meant that for my category of lady racers, we were going to ride about three loops of 12.5 miles of hills. The whistle was blown, and I took off with the pack. Those first few hills wore me out, and I was dropped by the pack but not by much. They group took a turn, and I missed the turn. (Oh boy!) I ended up riding about four miles of hills out of the way, and I had to ride four miles of hills to get back on track and decided that I was finished. I was ok with that decision. Even though I took a wrong turn, I felt good about the race. I burned quite a few calories and had a ball. I even laughed out loud when I realized that I had missed the turn. I am still training and working to get better, and I am finally enjoying this journey. 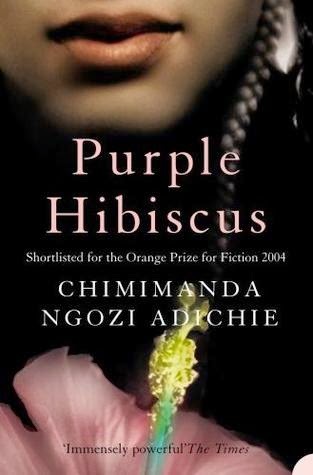 I would recommend that a person read Things Fall Apart by Chinua Acheba and follow it up with this novel, Purple Hibiscus by Chimamanda Adichie, which are two novels that are set in Nigeria and are written by Nigerian writers. Things Fall Apart by Chinua Achebe is a novel that is set in the late 1800s early 1900s in eastern Nigeria. The novel does a great job of explaining the Igbo tribe and their traditions. It also does a great job of explaining what happened when the British started to bring Christianity to Nigeria. 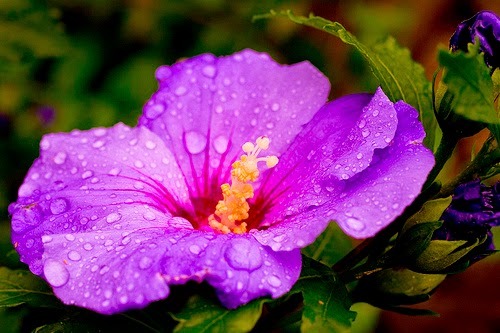 Purple Hibiscus is set during a time when quite a few people in Nigeria had converted to Christianity, about one hundred years after Things Fall Apart. This novel shows the struggle between the traditional and Christian beliefs in a Nigerian culture and shows what may have happened in Nigeria after many of the people adopted Christianity. I am not sure if this novel is meant to a sequel to Things Fall Apart, but it sure reads like one. Chimamanda tells, Purple Hibiscus, from the perspective of Kambili Achike, a young girl who lives with her brother, father, and mother. Her father, Eugene Achike, is a strict Catholic and has adopted the Christian belief totally. His beliefs causes him to be quite severe with his children and his wife, and it causes him to turn his back on his father who was a traditionalist. Kambili and her brother, Jaja, have a loving yet fearful relationship with their father. He punishes them severely if they were not top of their class and when they did things that went against his beliefs and Christian beliefs. Eventually, the father has a tragic ending that tremendously impacts his family. Reading this novel I thought a lot about the idea that we MUST include diverse literature in our classrooms if we want a world where people are culturally sensitive. Things Fall Apart and Purple Hibiscus gives the reader insight into Nigeria in a manner that is both informative and captivating. We need more books like this to dispel myths that we may have about other cultures and to possibly create a culturally sensitive society. This is the third book that I have read by Chimamanda, and her books should be read in classrooms around the world. The other two books that I have read by her are Half of a Yellow Sun and Americanah. Read Chimamanda's books and learn and grow! 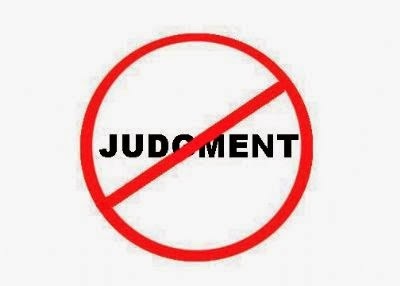 Since last Thursday, we have been working on being intentional about not judging! This allowing people and things to be, without judging, was very eye-opening for me. I realized that we will look at things and people and judge them, but we can redirect our thoughts, and we do not have to verbalize everything that comes to our minds. Being conscious of my thoughts really helped with not being judgmental. I was conscious when people would make comments about other people and things, and I tried my best to not co-sign. Now, no one that I was with said anything vicious about other people, but people would say things like "Why does she have that on?" and I would try my best to redirect the conversation or not add to the comments. Please don't think that I did not fall off the wagon a few times this week; I did. But one thing for sure, I was conscious of falling off, and I know that being conscious means a whole lot. Oh, what we can change when we are at least conscious! Now, let's get to Meditation. Meditating is very personal and there are so many ways to meditate. I was introduced to a form of mediating that is called mindfulness, and it really works for me. Mindfulness was explained to me like this: you are sitting beside a running stream of water, and the the running stream is your thoughts. 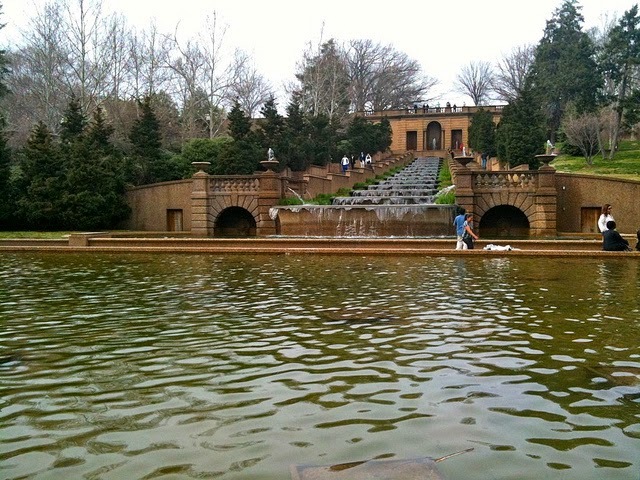 You want to be conscious of the running stream, but you do not want to get in the stream. In other words, when my thoughts start to run out of control, I bring them back by focusing on my breathing. It's about having thoughts but not allowing them to overtake me. I normally will sit for about 15 minutes, set my timer on my phone, close my eyes, and be present with my thoughts. Doing this can become a habit, and we can be at peace with ourselves without our thoughts running us crazy. Thoughts are just that: thoughts! Also, I spend time thinking about what I am feeling because of my thoughts, and this has given me much needed insight into myself and peace. This week while in Vegas, I listened to Joyce Meyers, television evangelist, and she was talking about having purposeful thoughts. From my understanding, Joyce advocates that God gives us enough grace for each day. She used the example of the people that Moses was leading to The Promised Land. God would give them manna from heaven every day, but if they tried to save some for the next day, it would spoil. God gave them new manna everyday. Joyce went on to say that the manna was grace, and that God gives us grace for each day. So, Joyce proposes sitting everyday, and I would say for about 15 minutes or less, and purposefully determining our day by confessing something like: "I will trust God." "I am happy." "I will remain calm all day." "No weapon formed against me shall prosper." Pick one confession and say it over and over. Sounds awesome right? The purpose of doing some type of mediating for the next week, and hopefully forever, is for us to experience being one with ourselves in peace. The results from meditating can become a part of who we are, and we can live our lives in a state of peace and not being controlled by our thoughts, which are just thoughts. There is no one that I love to spend time with more than myself. But, it's not fun to be with me when I am not calm and peaceful. I know that mediation helps to calm us and helps us to enjoy being with ourselves. I can't wait to hear how this goes! In the DC area, it has been incredibly hot, and of course I didn't waste my time complaining; God knows weather. 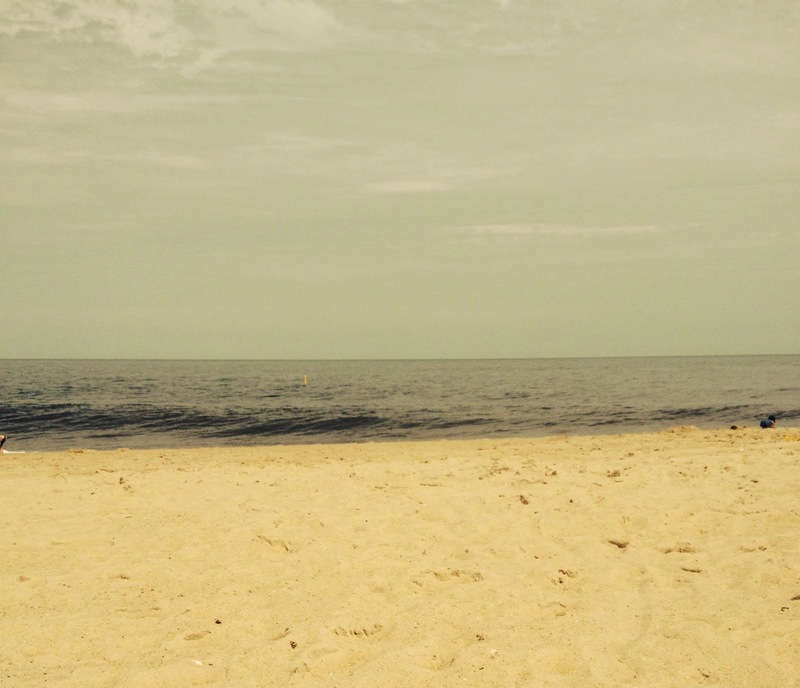 I continued to be grateful for summer and spent a considerable amount of time outside. Yep, I did! Yesterday was another hot day; however, during the evening, we received rain. This morning, on the 4th of July, I got up to go to Whole Foods, one of my favorite places in the world, and when I stepped outside, I was greeted by the most pleasant weather. I left Whole Foods, traveled to Old Town to shop, and hurried home to sit on my balcony to enjoy the Mercy of God! God is merciful and knows how much we can bear. After those sweltering few days, he sent Mercy. 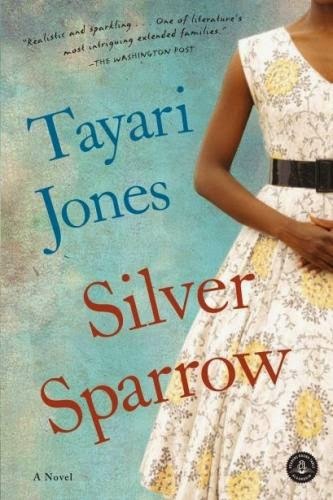 Sooooooo, early this week, my sister, Dot, sent me a text and asked if I had read Silver Sparrow? I stated "No," and she went on to tell how great this novel is. Of course, I downloaded it, and read it. 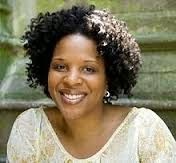 Tayari Jones can write (PERIOD)...Very similar to how Toni Morrsion does in Song of Solomon, Tayari has quite a few characters in this story, and through a very clever use of plot and character development, she helps the reader to understand every last one of the characters. Dana, is a silver sparrow, and a silver sparrow is a person who is a 'secret child.' Dana's mom conceived her with a married man. The married man had another daughter, Chaurise, with his wife. Dana and her mother knew about Chaurise and her mother. However, Chaurise and her mother knew nothing about Dana and her mother; they were a secret. Dana was told early on that she was a secret, and her entire life was devoted to keeping her life a secret from Chaurise and her mother.....I can not and do not want to image being a secret. Reading this novel, I thought a lot about what it must mean to a child to know that he/she is a secret. I thought a lot about why would a woman have a child with a married man. I thought a lot about women, our place in this world, our happiness, and our Power! Enjoy the 4th of July, My People! Well, two summers ago, I wrote blogs that I called Thankful Thursday, and I wrote about things that I was Thankful for, and last summer I wrote blogs every Thursday that were called What I know for Sure Thursday, and I focused on things that I know for sure. However, I could not think of what I should write about on Thursdays this summer, so I figured that I just wouldn't do a focused, Thursday writing. 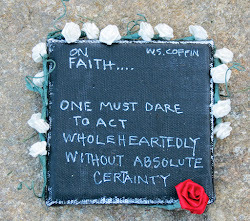 However, The Power of Intention was sent to me, and every Thursday this summer, I am going to write about something that we can do intentionally for the entire week and hopefully for the rest of our lives... I am soooooo excited! From today until next Thursday, let's practice not judging anything or anybody, because a lot of our judging is often negative and negative thoughts can make us feel some kind of way like frustrated or unhappy. AND, who wants to live their life frustrated or unhappy? For many of us, this may be quite difficulty, and we may slip up and that's ok....Just get back on the non-judgement track! I'm going to Vegas with a friend on Monday. 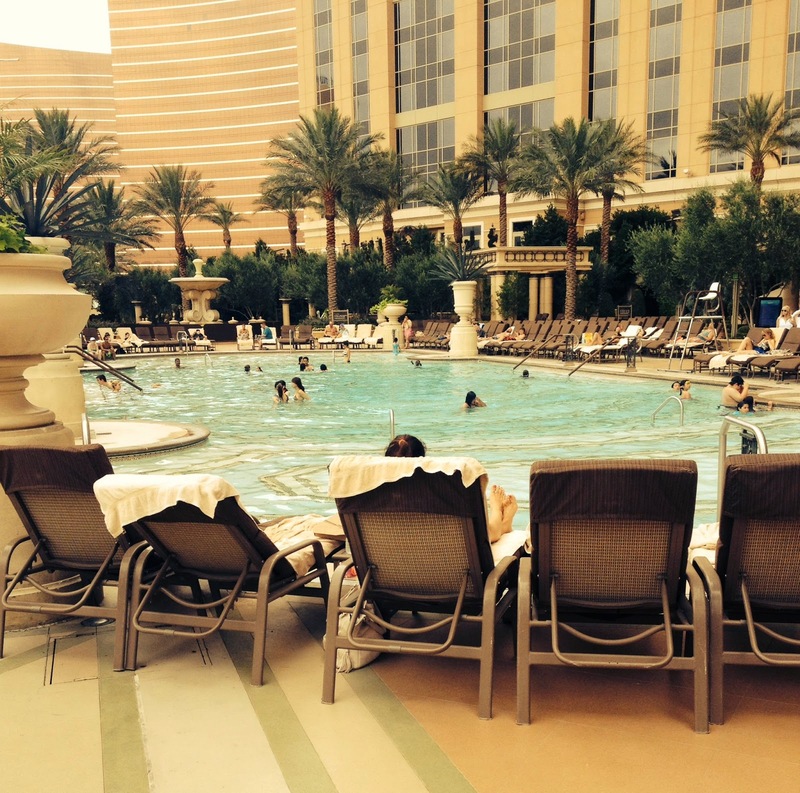 We all know that Vegas is HOT in the summer, and I will not judge the weather, my friend, other people, my meals; I am going to be present in every moment without judgement... None of that "Why is the waitress slow?" or "Why is she in the shower for so long?" or "It is soooo hot here." Let's practice not judging for an entire week, and let's see how it goes. If you want to know more about non-judgment please read The Power of Now by Eckhart Tolle. I am convinced that the universe (God) sends us just what we need when we need it....and the universe sent The Power of Intention to me again, and it was right on time. 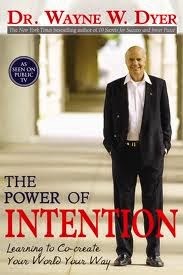 Dr. Dyer sees "intention is a force in the universe that allows the act of creation to take place." He sees "Intention as not something that you do, but as an energy that you are a part of." The Face of Creativity: "The idea that intention is creative or otherwise we would not be here; we all have the power to create the life that we want." The Face of Kindness: "Choosing to be kind is a choice to have the power of intention active in your life." The Face of Love: "Love is the most powerful energy in the world." The Face of Beauty: "As you become receptive to seeing and feeling beauty around you, you're becoming attuned to the creative power of intention with everything in the natural world, including yourself." 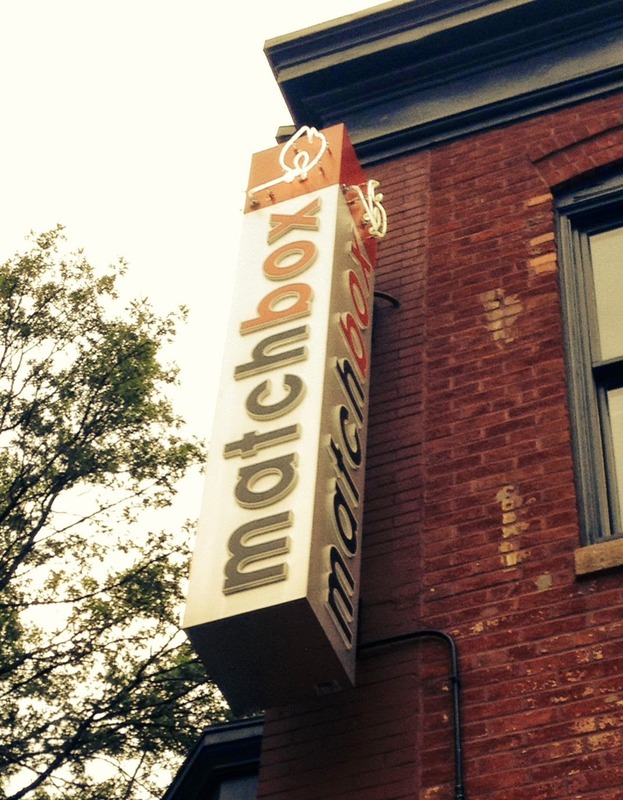 The Face of Expansion: "The Power of Intention manifests as expression of expanding creativity, kindness, love, and beauty." The Face of Unlimited Abundance: "This face has no boundaries, is everywhere at once, and is endlessly abundant." The Face of Receptivity: "All of nature is waiting to be called into action; we only need to be willing to recognize and receive." Dr. Dyer goes on to explain how to connect to Intention, obstacles to connecting, our impact on others when we are connected, and Intention and Infinity. Then, Dr. Dyer shows us how to put Intention into action, and finally he gives us a snapshot of how a person looks who is connected to Intention. "What you think of yourself is what you think of the world." "Self-respect attracts higher energy. Lack of self-respect attracts the lower." "You don't need another diet, workout manual, or personal trainer. Go within, listen to your body, and treat it with all of the dignity and love that your self-respects demands." "You can never remedy a relationship by condemning it." 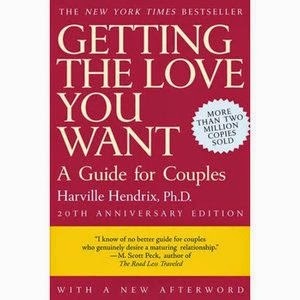 If you haven't read any other book that I have suggested, please consider reading this one; it is truly life changing!